It’s the most wonderful time of the year … unless you’re looking for a travel deal. The Christmas/New Year’s holiday is the most crowded and expensive time to vacation almost anywhere. Airfares and hotel rates shoot up, beach resorts and ski lodges impose minimum-stay restrictions, and if you don’t plan far enough ahead, you’ll find everything decent is sold out. What to do? If your goal is a sunny beach vacation, your smartest move is to travel right before the Christmas rush (the first two weeks of December) or right afterward (the first week of January), since that’s when you’ll find much fewer people and much lower prices. Most of us don’t have that kind of schedule flexibility, though, so here are other strategies for beating holiday prices, crowds, and sell-out conditions, as well as destinations to consider that are alternatives to the typical Caribbean, Hawaii, and Mexico fare. If you’re not sure how to book these trips so that you’re marked as a VIP traveler and get the best trip possible, I’ve made it really easy for you. And if you’re not sure what I mean by “the best trip possible,” read these trip reviews. •Travel during the first half of the holiday rather than the second half. For many people the festive-season period lasts two weeks, with Christmas Day falling during the first week and New Year’s Day falling during the second week. In most vacation spots, and especially at ski resorts, that first week typically has more availability and is more affordable than the second week. •Choose destinations that are in their shoulder or low season. Most cities and islands in non-tropical climates qualify, as do countries that don’t celebrate Christmas. •Fly on Christmas Eve, Christmas Day, New Year’s Eve, or New Year’s Day. Airfares tend to be lower at these times. •Consider cities that draw a lot of business travelers. Business travel stops during the holidays, so you’ll find low airfares to—and empty hotel rooms in—business-travel hubs. In the U.S. consider cities such as Dallas, Atlanta, Cleveland, and Phoenix. If you prefer New York City or San Francisco (which draw a ton of both business and leisure travelers), look for discounts at business-traveler-oriented hotels (extended-stay suite hotels work well for families too). In Europe consider business capitals such as London, Paris, and Rome. Holiday business-class airfare sales to these European hubs come out every year. •Look for introductory airfares and hotel rates. When airlines introduce new routes, and when new hotels open, they typically publicize the news with special offers. My family’s best Christmas abroad was at a just-opened hotel. •Consider redeeming hotel points for free nights. •When flying internationally, rather than buying one expensive non-stop ticket, combine two inexpensive tickets and get a stopover. As an example, when I went to Marrakech last year, the best flights I could find for my travel dates were via Switzerland (Zurich on the outbound, Geneva on the return). I did a stopover in Zurich en route to Morocco and a stopover in Geneva en route back. Both are cities where it’s easy, fast, and cheap to take the train from the airport to the center of town. I saw two countries in one trip and topped off the adventure with prosecco fondue, panoramic views of Lake Geneva, and a free ride to the airport. Some airlines even have full-fledged, free stopover programs that enable travelers to easily take a few extra days in an additional destination. Billie used TAP Air Portugal to spend two days in Porto on the way home from a trip in Italy; IcelandAir has a popular program, and SWISS just introduced one as well. It’s got culture and history, antebellum architecture, award-winning cuisine, southern charm—and, during the holiday season, a Festival of Lights, a Parade of Boats, Gullah spirituals concerts, the clip-clop of horses and carriages, and poinsettias everywhere (they were first imported to America by a Charlestonian named Dr. Poinsett). Temperatures are mild, in the high 50s and low 60s. You’ll find more info here. The Crescent City gets gussied up for the holidays and abounds with historic traditions such as Reveillon dinners in top French Quarter restaurants, caroling by candlelight in Jackson Square, Cathedral concerts, and bonfires on the levees on Christmas Eve. Temps are in the low 60s. For an insider experience of New Orleans, request your trip here. Airfares to San Diego may be high, but there are almost always low fares into LAX (since it’s a business-travel hub), where you can rent a car and drive down the coast. There are plenty of seaside resorts in the corridor between Los Angeles and San Diego (e.g., in La Jolla, Del Mar, Laguna Beach), and there are also resorts, ranches, and awesome adventures to be had inland (e.g., in the gorgeous Anza-Borrego Desert—here’s an itinerary for you—or in Joshua Tree National Park, which is only an hour from Palm Springs). December temps are in the 60s. For the best possible California holiday, request your trip here. When there’s no availability in Aspen or Vail, remember that there are seven ski resorts within an hour’s drive of Utah’s capital. The airport is a Delta hub that business travelers don’t use over the holidays, which means there are low airfares and plenty of empty hotel rooms. So, if the ski resorts are sold out, you might even stay in the city, rent a car, and try a different mountain every day. Flights to Dallas are less than four hours from anywhere in the U.S., and temps are in the 50s and 60s. You’ll find plenty of free museums and walkable neighborhoods, plus a Public ArtWalk that is a free, self-guided art trail through downtown Dallas and the Arts District. Three hours away is Austin, a 24-hour town with a legendary live-music scene, hip neighborhoods to shop and stroll in, and awesome barbecue. From there it’s only 90 minutes to San Antonio, known for its River Walk lined with cafes and shops, not to mention the Alamo. There will still be values on Mexico’s Pacific Coast between Puerto Vallarta and Huatulco (think Ixtapa, Zihuatanejo, Costa Alegre, Costa Careyes) because so many charming boutique beach properties are popping up that few travelers know about. But the biggest values will likely be inland. In the Colonial interior that was not affected by last year’s earthquakes—think Merida, San Miguel de Allende, Guanajuato, Queretaro—exquisitely restored haciendas offer a festive atmosphere, nearby cultural and archaeological sites, and award-winning gourmet cuisine. Even though the March 2018 earthquake hit Puebla, the Rosewood Puebla was not affected, nor was Puebla’s airport. For a seamless vacation focused on the sophisticated delights of Mexico that you’ve been missing, request your trip here. During the holidays, this Olympic ski resort just 90 minutes from Vancouver transforms into a vividly illuminated winter wonderland complete with sleigh rides, dog sledding, winter zip-lining, ice fishing, eagle viewing, heli-skiing, and assorted backcountry adventures. Not a snowbird? Then spend all day in the spa or on gourmet tasting tours. You’ll pay peak-season prices, but a Whistler vacation is relatively affordable, thanks to the good exchange rate, and relatively available, thanks to the huge number of hotel rooms. For the ultimate Whistler adventure, request your trip here. Parts of Europe can be dark and dreary in wintertime. But many of the biggest cities are festively decorated, beautifully illuminated, and don’t shut down on Christmas Eve and Christmas Day—and it’s okay if it’s chilly and gets dark at 4 p.m. because there’s so much on offer indoors (in museums, theaters, restaurants), as well as outdoors, at Christmas markets, where it’s easy to grab a beer with the locals. And, because business travelers are absent, there are airfare sales and hotel discounts. London offers New Year’s Eve fireworks over Tower Bridge and awesome Boxing Day sales. In Paris you’ve got old-world-style Christmas markets, ice skating at the Hotel de Ville, and food markets filled with holiday specialties such as foie gras and marrons glacés. Rome has iconic Christmas markets and Nativity exhibitions, as well as a Christmas Eve midnight mass delivered by the Pope at the Vatican. Edinburgh celebrates New Year’s Eve with Hogmanay festivities that include a torchlight procession, bagpipe performances, street parties, and fireworks above the Castle. Rising out of the Atlantic, off the coast of Africa (a 90-minute flight from Lisbon), is the semi-tropical Portuguese island of Madeira. Known for its great hiking, namesake wine, and yummy cuisine (thanks to fresh seafood and exotic fruits), the mountainous island has temps in the high 60s in late December. There’s also a traditional gala New Year’s Eve celebration at Madeira’s historic grande-dame property, Reid’s Palace. In the Mediterranean, Malta, Sicily, and Crete have enough of a low-season infrastructure, and are culturally important enough, to make a sightseeing trip during the holidays well worth your while. You won’t find bikini weather, but you’ll find ancient monuments blissfully free of the crowds that diminish their majesty the rest of the year. Europe’s Christmas markets tend to end on December 24, but in some cities they last longer. In Berlin, for instance, the Berliner Weihnachtszeit continues through December 30, and the Christmas market at Kaiser Wilhelm Memorial Church goes until January 6. Prague’s Christmas market in Wenceslas Square also lasts through January 6. I’ve been to a lot of Christmas markets, and if I had a week to hit some of Europe’s best, I’d probably arrange an itinerary that starts in Germany with Nuremberg and Rothenburg, hops over the Rhine to Strasbourg in France, then jumps back to Germany, winds from village to village en route to Munich, and swings through Salzburg en route to a grand finale in Vienna. 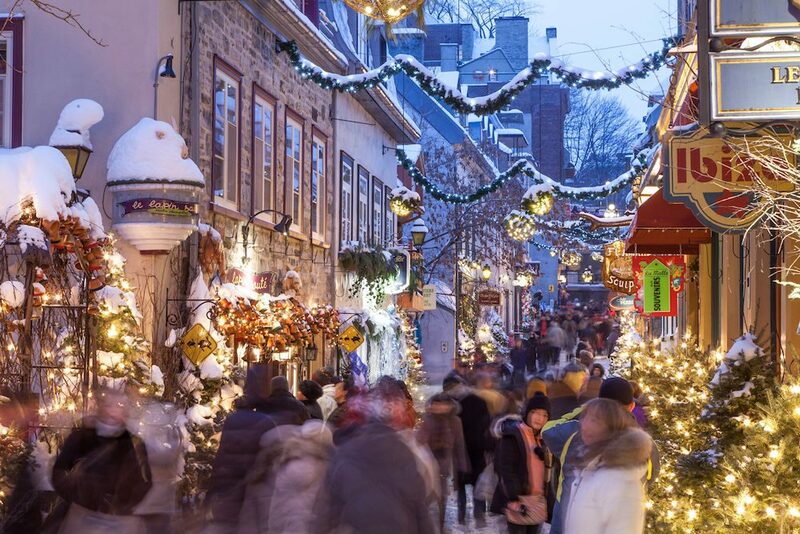 Here’s more on Europe’s Christmas markets: How to plan the perfect trip. 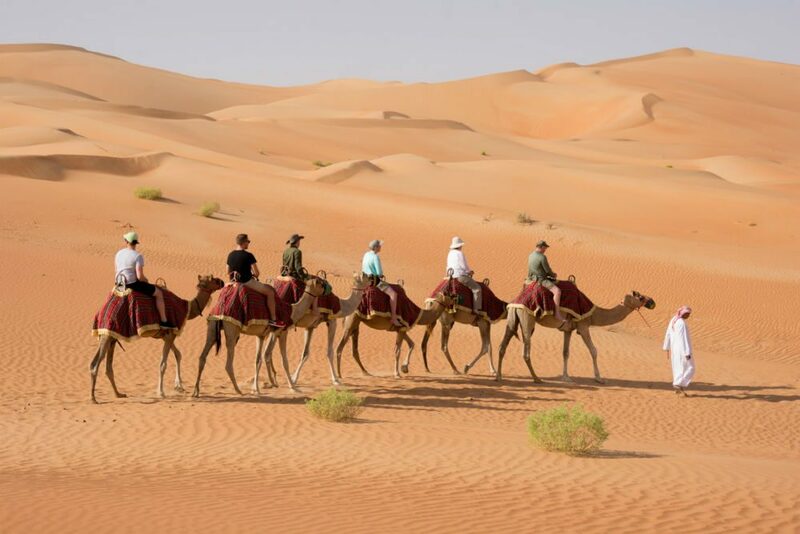 Camel rides are just one of the desert excursions on offer at Qasr al Sarab Desert Resort by Anantara, in Abu Dhabi. That’s me on the second camel. 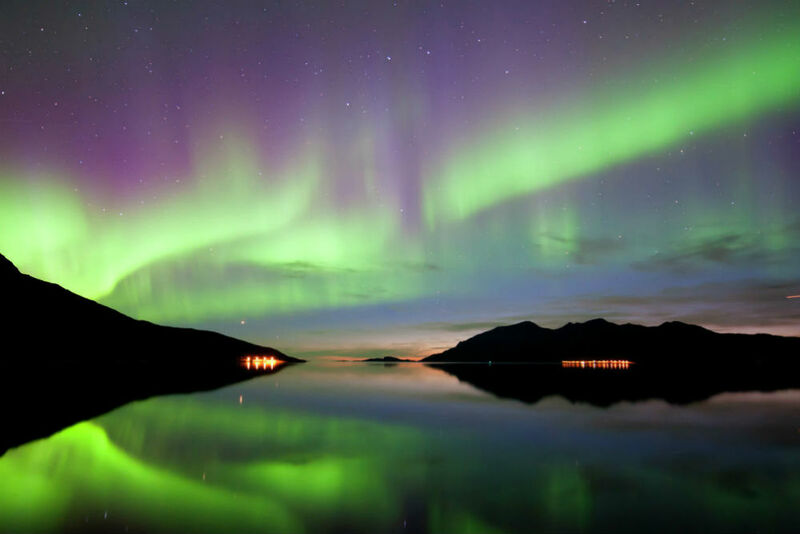 Alta, Norway, offers that rare combo of relatively mild temps (the daily high in late December is about 25 degrees F), thrilling winter activities, and the closest thing to a guarantee that you’ll see the Northern Lights. If your goal is the highest-caliber private trip possible—including private transportation, the best accommodations and food, and activities such as snowmobiling, ice fishing, and/or visiting Sami reindeer herders—request your trip here. In Cartagena the holidays bring music and parties everywhere. Lights are hung from the brightly colored colonial houses, café tables are pulled into the streets for celebratory dinners, and the Sofitel Santa Clara throws a spectacular New Year’s Eve party. Combine such city festivities with quiet time at plantations in coffee country, in the rainforest, or on the beach. For an in-depth experience of Colombia, request your trip here. I recently spent five nights in Dubai and Abu Dhabi (only a 90-minute drive from Dubai). You can have a ton of fun there if you want to combine beach time and desert adventures (think sunset camel rides, dune bashing, desert safaris) with eye-popping luxury (read about my trip, which included many of my favorite travel moments of 2017). The U.A.E. can deliver great value during the Christmas/New Year’s period because the weather is lovely (high 70s and low 80s), there are many new glam hotels offering deals to fill their rooms, and Emirates airline—whose economy class offers particularly roomy seats and elaborate in-flight entertainment—operates frequent flights to its enormous Dubai hub. If the beaches and desert aren’t enough for you, you can throw in skiing too—at Dubai’s 22,500-square-meter indoor ski resort inside a shopping mall. I didn’t manage to get to Oman on this trip—we were having way too spectacular a time at Qasr al Sarab in the Abu Dhabi desert (that’s my family on the camels in the photo above)—but Muscat is only a five-hour drive from Dubai and, like Abu Dhabi, Oman offers otherworldly scenery, resorts fit for a sheikh, and desert activities galore. For an insider’s experience of the U.A.E. and the local clout and connections you’ll want, request your trip here. I took my family to Sri Lanka for the kids’ Christmas school break in 2016, and not only was it a feast for all the senses—with a rich culture, delectable food, and friendly people—but it was also less crowded and pricey than the Caribbean. In fact, it was my family’s best Christmas abroad. (On Christmas Day itself, here’s what we did.) Since Sri Lanka hasn’t been “discovered” yet by the tourist masses, but big-hotel construction is coming soon, now is the time to go. Read about my family’s experience in Tangalle exploring everything from jungle temples to tea plantations, and for the best possible experience of Sri Lanka with VIP treatment throughout, request your trip here. This is where I spent the month of December on my honeymoon (18 years ago). December is the start of summer Down Under, so you’ll find temps in the 70s and daylight lasting past 9 p.m., for maximum sightseeing. Conditions are lovely for everything from wine tasting and caving on the North Island to jet-boating and heli-hiking on the South Island. Read our Insider’s Guides to The Best of New Zealand, Insider’s New Zealand, Queenstown, and the Bay of Islands. Rio de Janeiro has one of the world’s most spectacular New Year’s Eve celebrations: Two million people dressed in white gather on Copacabana Beach to light candles and throw flowers into the sea, as an offering to the ocean goddess. There’s live Brazilian samba music and fireworks over the beach too. As for other Brazil locales you might combine with Rio, get ideas from our Insider’s Guides to Trancoso, the Amazon, and Five-Star Brazil: Best Things to See and Do. And, for all you country collectors, St. Helena! Yes, I’m talking about the isolated island in the South Atlantic that until recently you could reach only by mailboat from Cape Town. That necessitated spending five or six days at sea—each way. 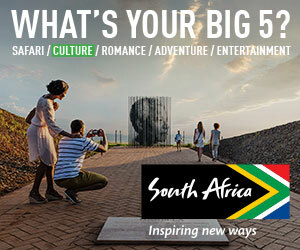 But SA Airlink now offers weekly five-hour flights on a 76-seat Embraer from Johannesburg, South Africa. 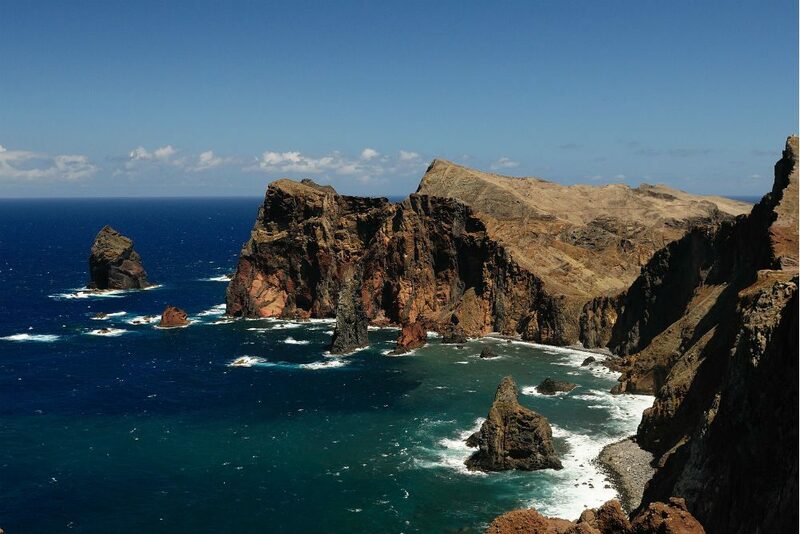 One of the world’s most remote settled islands, St. Helena is best known for being the place that Napoleon was exiled to, but there’s a lot to do besides seeing Napoleonic artifacts. You can dive to shipwrecks, swim with whale sharks, go on picturesque hikes to see some of the 500 endemic species of flora and fauna, and meet the local people—called “Saints”—who are known for their hospitality. The island was discovered by the Dutch in 1504 but colonized by the British—so, if you rent a car, you’ll need to drive on the left. They’ve built a 30-room luxury hotel to welcome all the new travelers who’ll be coming. Here’s more info about St. Helena. If you’re wondering how to book a holiday trip so as to get the best possible experience and be marked as a VIP traveler, I’ve made it really easy for you. And if you’ve got other great holiday travel ideas, share them below!